Salzburg; meaning "Salt Castle" is the second most important city of Austria and derived its name from the Salt laden boats which were carrying salt from the salt mines down the Salzach river. "Old Town" (Altstadt) has internationally renowned baroque architecture and one of the best-preserved city centers north of the Alps. It was listed as a UNESCO World Heritage Site in 1997. The city is noted for its Alpine setting. Salzburg was the birthplace of 18th-century composer Wolfgang Amadeus Mozart. 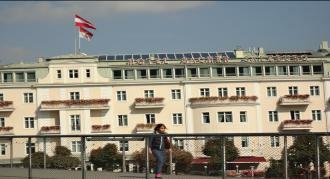 In the mid-20th century, the city was the setting for parts of the American musical and film The Sound of Music. It is also the birth place of Doppler ,the famous scientist who we all know for the Doppler Effect studied in Class VIII by all of us . 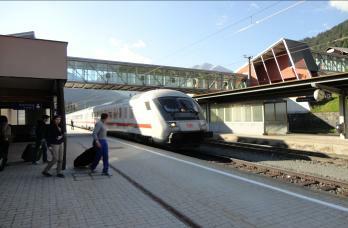 The Train to Salzburg. We got a discount on our Gastein Tourist Card . The journey took an hour and we landed in Salzburg. The train was going up to Munich. Salzburg Railway Station had an old time feel but was undergoing modernization. Salzburg was connected to the international railway only in 2004. Breakfast at Burger King just outside the station, included a purple colored blueberry flavored hot tea which was heartily enjoyed by my wife. 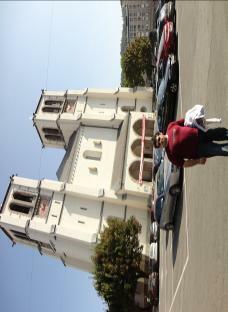 On the right is Maria church, the starting point for city tours. There is a big market in front of the church every Thursday which is a 400 years old tradition. The guide while passing by the Main Prison informed us that it was the cheapest accomodation in Salzburg and you really don't have to do much to get in there. 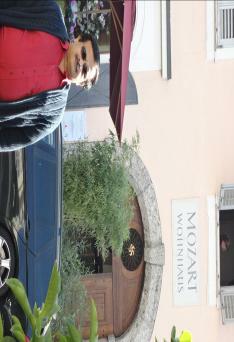 The house where WA Mozart was born. At the age of 4 he was performing in Empress Maria Theresa court and under her patronage the prodigy Wolfgang became the acclaimed WA Mozart on whose name we get Chocolate Balls in duty free shops and the Salzburg Airport is named after him. Later he shifted to Vienna and performed/composed there till his death from Asthma at age 57. 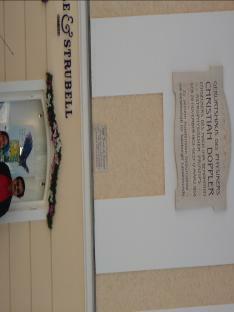 The house in Salzburg where William Doppler was born.It is almost adjoining the house of WA Mozart. Doppler effect can be felt when the pitch increases/reduces when sound source like Car/Engine is approaching or receding.Doppler effect is also used to measure speeds of stars and galalxies through red/blue shift. Hotel Salzburger on the bank of the Salza river. We were surprised to see the Indian Flag flying atop the Hotel. Later on we came to know that the Indian President was visiting Salzburg and could havebeen staying/visiting the Salzburger. 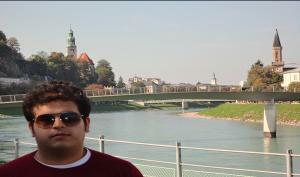 The Salzach River with the twin towers on either side.On one side is the old city with the Church and the Fort. The river front here is filled with tourists from all parts of the world and you can get a glimpse of various cultures ,African, Middle East, Pakistan and India, the Japanese groups in a straight line behind the tour guide ,you name it ,you can see it.